SKU: 1d869e435c66 Categories: Climb, Climbing Harnesses, Products Tag: C.A.M.P. C.A.M.P.’s Warden is a sophisticated big wall machine that blends the benefits of performance free climbing harnesses with the features and systems unique to big walls. 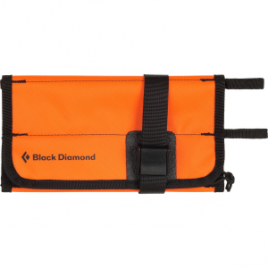 The result is the lightest, best-fitting, and most precise big wall harness ever conceived. The extra wide waist belt and leg loops feature innovative modified edge-load construction to deliver never-before-seen support and comfort. The legs also incorporate laminate construction with internal laser cut webbing to further help with the weight distribution during long periods of hanging. 6 mm EVA foam padding on the waist and 3 mm padding on the legs combines with soft, breathable, 3-dimensional mesh that helps wick moisture away from the body. The rugged exterior fabrics will hold up to the nastiest off widths where we tend to see the most intense abrasion. Four auto-locking buckles allow for fast and precise adjustment. Two secondary attachment points on either side of the main tie-in point keep daisy chains out of the way of the rope and belay loop. To further optimize organization and safety, the beefy 25 mm belay loop features our patented No-Twist system which locks the belay carabiner in place to prevent cross-loading. The 6 gear loops are webbing reinforced to make them super strong and are positioned to optimize the organization of the rack with a pattern that is offset both horizontally and vertically. This keeps gear reachable without overlapping too much so it is still easy to identify and access on the sharp end. Two integrated Hypalon slots for Hub racking carabiners allow for even more organization.